Established in 1961, 99 Truck Parts & Industrial Equipment Ltd., has been dedicated to helping our customers with all their truck & equipment part needs for over 56 years. Servicing all our customer’s needs, 99 Truck Parts has a customer base consisting of large truck & equipment dealers, repair shops, large truck and industrial fleets, and dealers through to individual customers looking for new, used or rebuilt parts. Here at 99 Truck Parts, we stock one of the largest selections of new & used parts for all truck makes (1 ton and up). 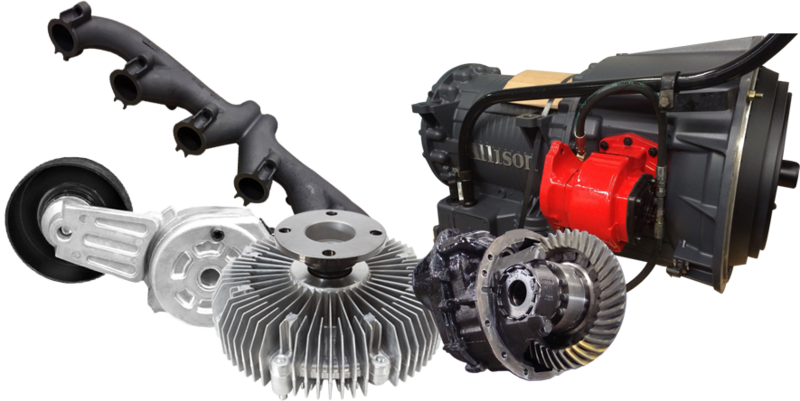 99 Truck Parts specializes in rebuilding and reconditioning both for on-highway and off-highway applications, transmissions and differentials. We are dedicated to helping you find the products you need and provide the friendly, fast service that you deserve. Whether it’s a restoration you seek or a new part, we will try our best to get you what you need!